Taking part in the project are creators such as Christopher Baker, Chris Jordan, Ingo Gunther , Erik Kessels, David Bowen, Aaron Koblin, Eric Fischer, Near Future Laboratory, Bestiario, along with investigators, activists, designers, educators, analysts, cartographers, engineers, economists, architects, communicators, programmers, journalists and many others. Her projects always seek the interaction of the public, which she places at the centre of her work, introducing new and unexpected forms of experience in transmedia environments. In 2006, together with Mona Kim (Paris), Todd Palmer (Chicago), and Simon Taylor (London), she founded Program Collective, a multi-disciplinary studio and think tank that operates internationally in the field of architecture, art, design, publishing and cultural analysis. 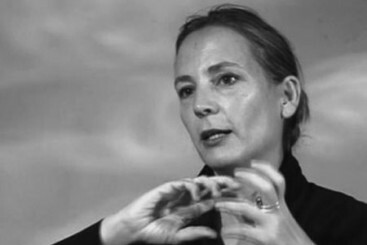 Among her most recent works, highlights include: design of the exhibition “Ferran Adrià & elBulli”, (Barcelona-London-Boston, 2012-2014); design of the exhibition “Global Screen” (CCCB and San Telmo Museoa in San Sebastian/Donostia 2012); design of the exhibition “Are You Ready for TV?” (MACBA 2011); the installation for Dora García (Spanish pavilion at the Venice Art Biennale 2011) and the stage set for the television programme “Die Klau Mich Show” featuring artist Dora García (Documenta (13), Kassel 2012). She collaborates in the Master’s Degree in New Exhibition Formats run by Elisava-UPF (Pompeu Fabra University) and the Master’s Degree in Exhibition Design run by Barcelona Tech (UPC). His work investigates the cultural space between technologies, social innovation, art and design. Currently he directs the Visualizar Program for Data Culture at Medialab Prado, an arts and technology space and citizen lab based in Madrid. He is the head curator of Sónar+D, the Innovation area of Barcelona’s acclaimed Sónar Festival, and is a member of the curation team of FutureEverything Festival, Manchester. 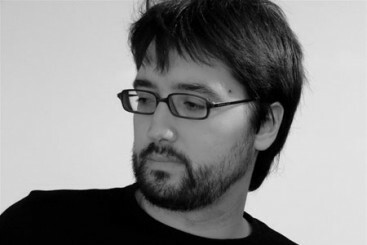 He is one of the founders of ZZZINC, a consultancy working in innovation for cultural organizations based in Barcelona. He has curated multiple symposiums and exhibitions on new media art, science and design. These include “Machines and Souls” (2008, Reina Sofia Museum), “Arcadia” and “Habitar” (2009, 210 Laboral Centro de Arte), “Invisible Fields” (2011, Arts Santa Monica, with Honor Harger), “Playtime: Game Mythologies” (2012, Maison d’Ailleurs) or the upcoming “Big Bang Data” (2014, CCCB).